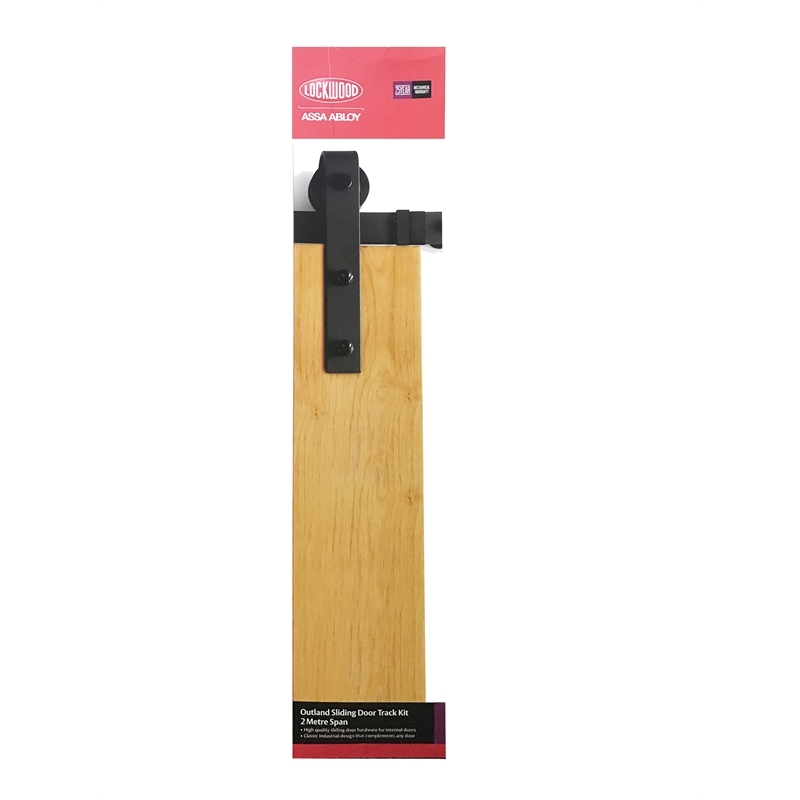 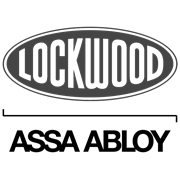 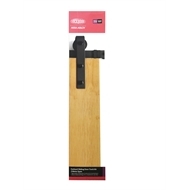 The Lockwood Outland Sliding Door Track incorporates industrial design with the highest standards of quality. 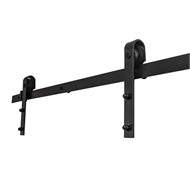 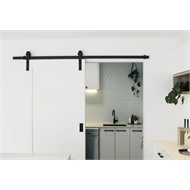 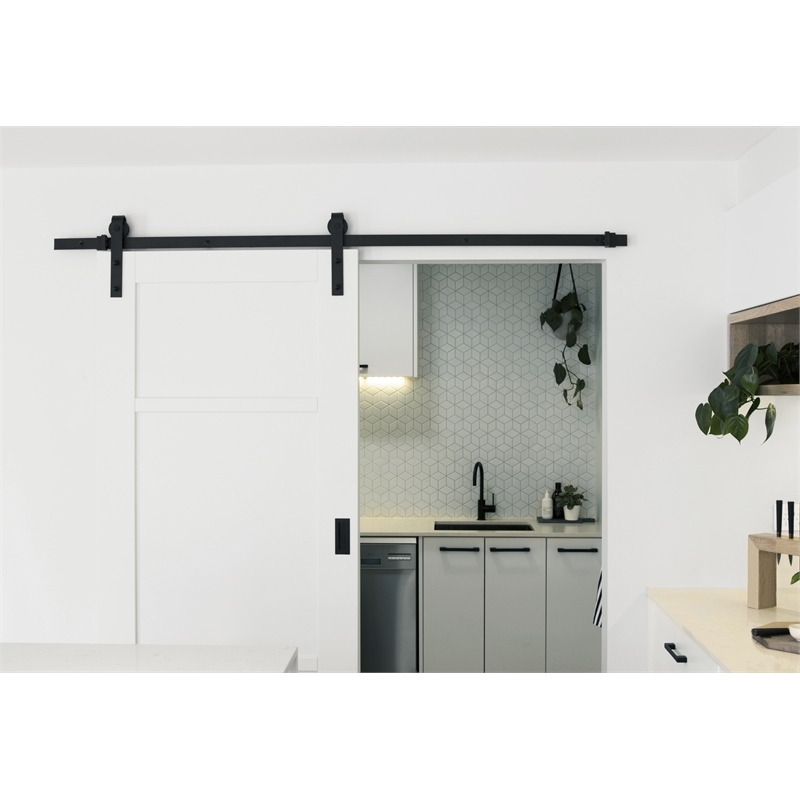 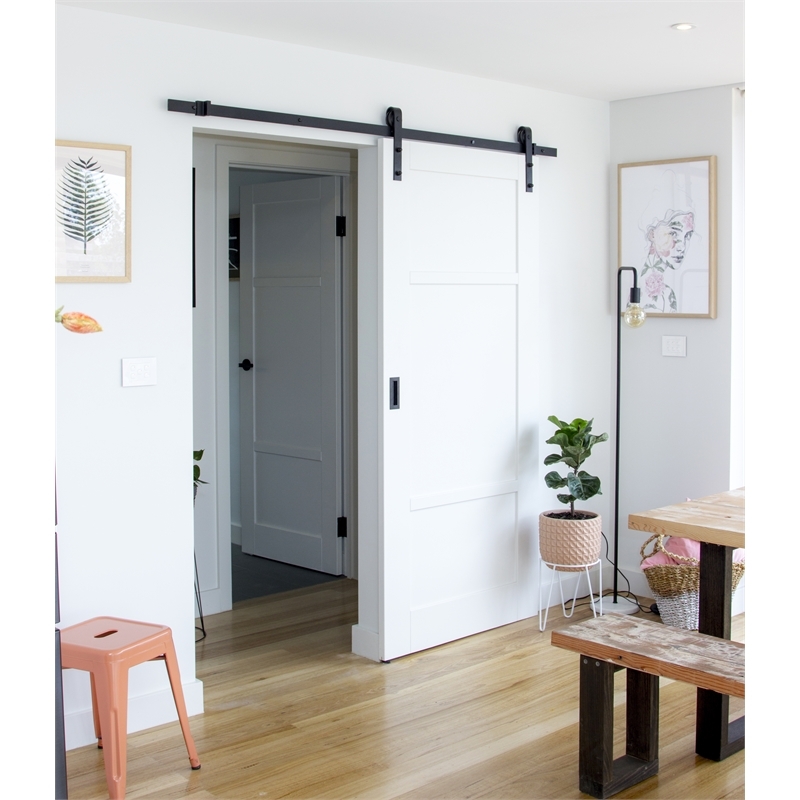 The Outland offers a classic barn door look with exposed steel straps of elegant matte finish. 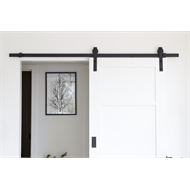 This tasteful interior door hardware will not only add character to your room but also save space with its sturdy sliding application. 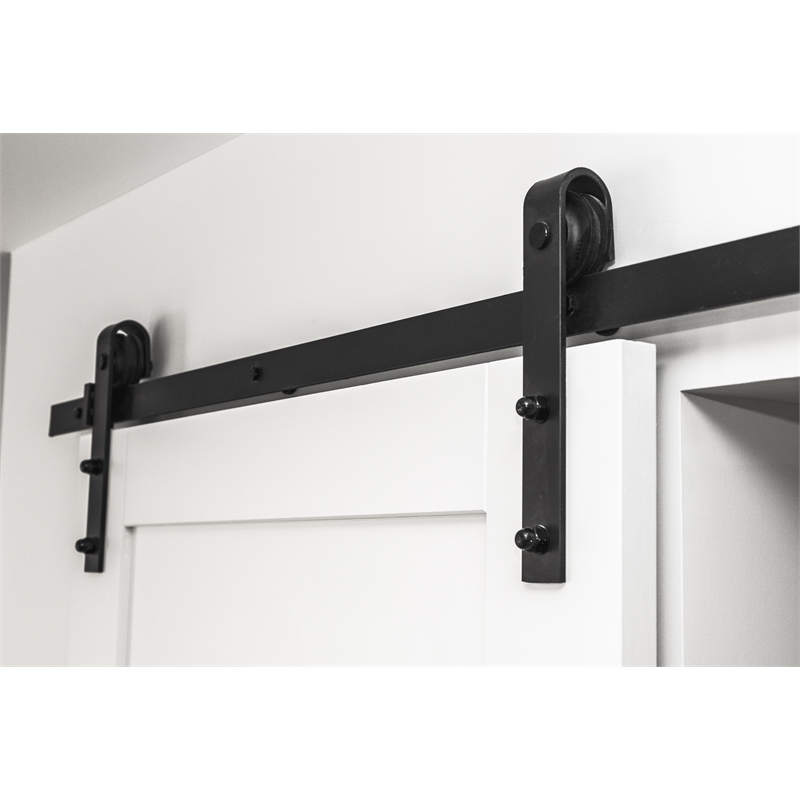 To be used for internal door applications only. 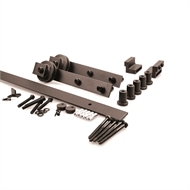 Lockwood Outland track kits include fixing screws to suit masonry walls, as well as plasterboard walls, with timber support structures. Tracks are pre-drilled with 450mm hole centres. 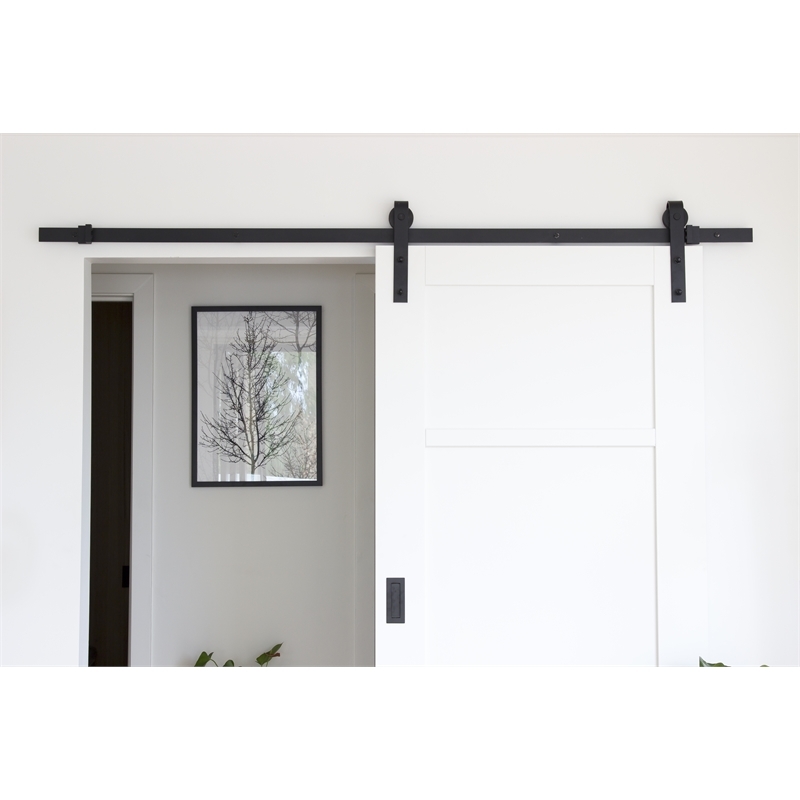 Two kits required for double door installation.